Top 10 Fat Burning Foods! Now moving on..I was at work the other day thinking about what I am missing in my nutrition and supplements to help me make those ‘Gains’ and improving my endurance breaking the fourth wall I kept on hitting, and one of the guys spoke to me about Beta-Alanine and it’s uses and how it has been rated. After looking into this I saw the benefits and that it is something that everybody is already using and if not? should be and once mixed with Creatine, took your workout and results to the next level…so I purchased some pre-workout (that I will show later) which combined both Beta-Alanine and Creatine, among the other typical pre-workout ingredients. Beta-alanine is a non-essential amino acid. Non-essential amino acids can be made by the body, so they don’t have to be provided by food. Amino acids are the building blocks of proteins. When beta-alanine is ingested, it turns into the molecule carnosine, which acts as an acid buffer in the body. Carnosine is stored in cells and released in response to drops in pH. Increased stores of carnosine can protect against diet-induced drops in pH (which might occur from ketone production in ketosis, for example), as well as offer protection from exercise-induced lactic acid production. Beta-alanine is used for improving athletic performance and exercise capacity, building lean muscle mass, and improving physical functioning in the elderly. Beta-alanine has been shown to enhance muscular endurance. Many people report being able to do one or two more reps in the gym when training in sets of 8-15 repetitions. Beta-alanine supplementation can also improve moderate to high intensity cardiovascular exercise performance, like rowing or sprinting. Physical performance. Some research shows that taking beta-alanine modestly improves some measures of physical performance, especially during high-intensity exercise and strength training. Beta-alanine supplements might also improve physical performance and delay muscle fatigue in older adults. Research shows that a specific product containing beta-alanine, creatine monohydrate, arginine, alpha-ketoisocaproate, and leucine (NO-Shotgun) might increase fat-free mass and strength in men participating in resistance training. However, not all research shows beneficial effects of beta-alanine on physical performance. Beta-alanine is POSSIBLY SAFE when taken by mouth appropriately for a short time. Side effects have not been reported with moderate doses of beta-alanine. High doses can cause flushing and tingling. Pregnancy and breast-feeding: There is not enough reliable information about the safety of taking beta-alanine if you are pregnant or breast-feeding. Stay on the safe side and avoid use. Most comes in the form of the dipeptides carnosine, anserine or balenine, each of which give to raising beta-alanine availability when broken down during digestion. Unless you are vegetarian, you derive these from the animal proteins in your diet. 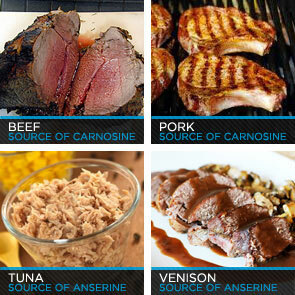 Specifically, pork and beef are good sources of carnosine, because tuna and venison are high food sources of anserine. Beta-alanine is also a standard ingredient in many pre-workout supplements, as well as being available on its own. When purchasing a beta-alanine supplement, however, look for the brand name CarnoSyn® on the label. Are protein shakes really worth it? Hit the ICE after a burn! There is no “Most Effective Cardio Exercise.” Just like how there is no best way to workout or no best martial art. It all depends on your goal and what you want to do. Still stuck? Let me help you a little. You are using your booty as a pivot point while you kick your legs out, and lower your upper body slightly towards the floor. Many women talk about wanting thin and toned arms as they are unhappy with their current wobbly triceps. In this post I’ll go over some of the myths about this type of training as well as looking at some of the ways to try to do this. Now comes the fun part. We’re going to start with your new 31- day arm routine. You’re going to work arms three days a week. I’d suggest Monday, Wednesday, and Friday. On Monday you will work your arms after you do the body routine I described above.